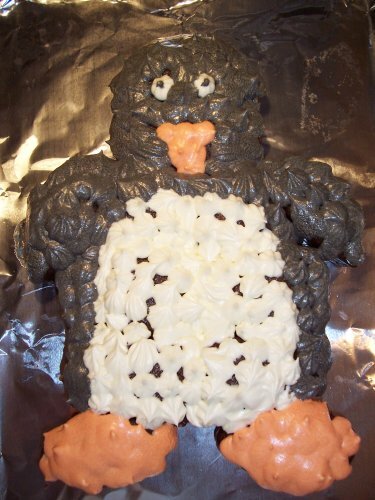 I made a chocolate penguin cake many times! This my Mom knitted in about 1992. 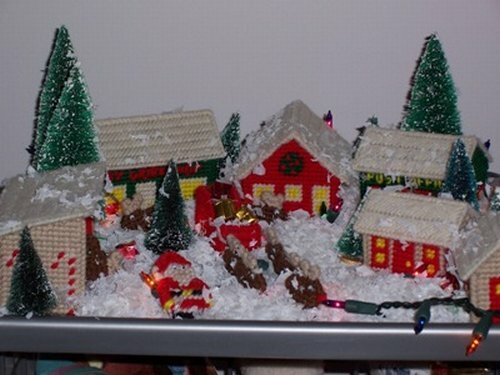 It is a neat little North Pole village, with Toy Workshop, Reindeer Barn, Post Office, Santa’s house and Elf house. Note a knitted Rudolph in the front of the reindeer. 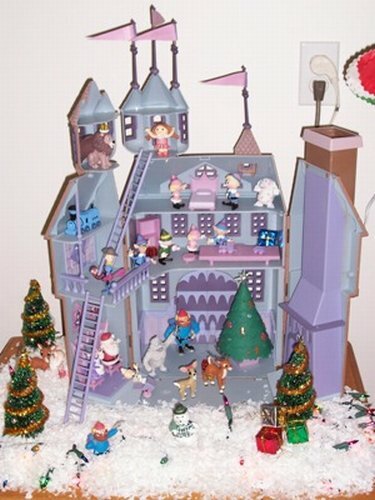 A nativity scene. 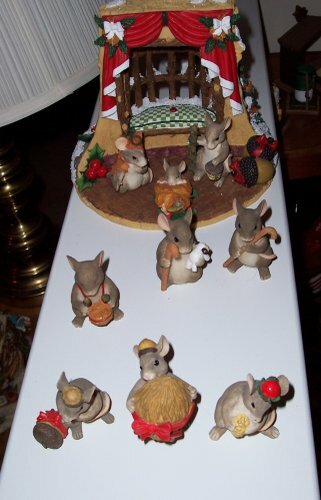 Christmas Village has 5 nativity sets, some portrayed traditionally, and as above, some by mice and other creatures.